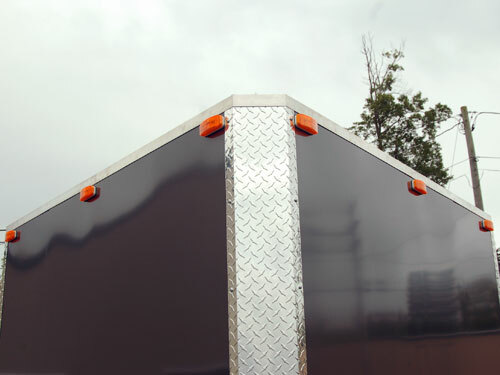 The Side Mounted Auxiliary Reverse Light option helps by lighting up the rear sides of your trailer to help you back up into tight spots! 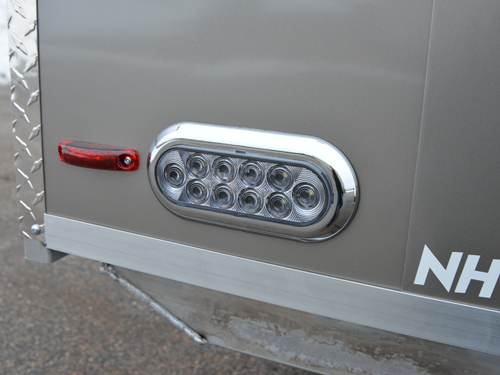 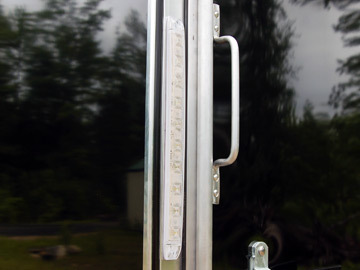 These lights would be mounted on either side of your trailer, down low and towards the rear to throw a bright white beam at the very back end of your trailer. 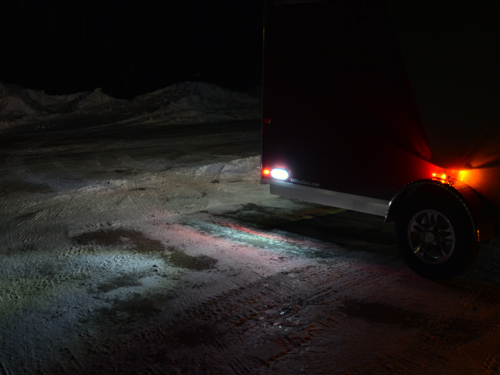 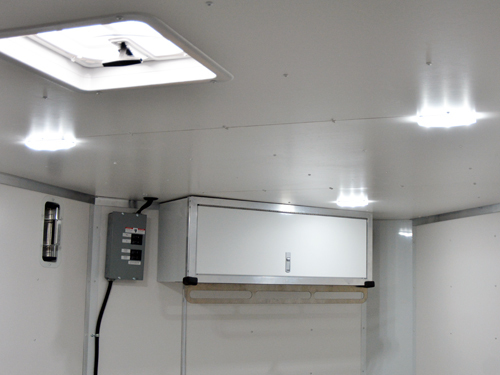 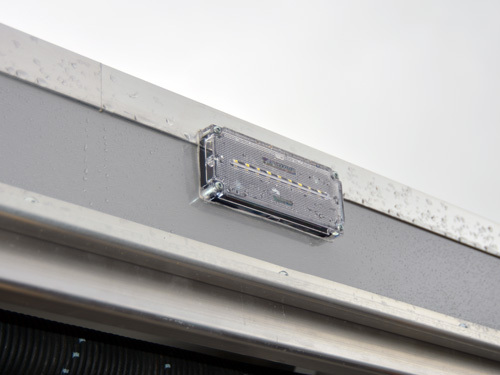 Each light has 10 LEDs in it and they would be wired right into your trailer’s backup light circuit (LED back up light option required).